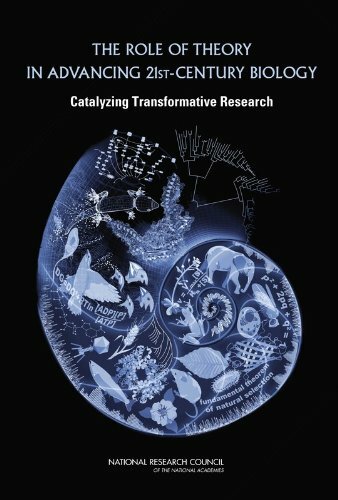 National Academies Press The Role of Theory in Advancing 21st-Century Biology: Catalyzing Transformative Research by Advancing The Conceptual Basis Of Biological Sciences In The 21st Century, Committee On Defining, National Research Council | Free eBooks Download - EBOOKEE! Posted on 2012-09-25, by sharebookfree. Although its importance is not always recognized, theory is an integral part of all biological research. Biologists' theoretical and conceptual frameworks inform every step of their research, affecting what experiments they do, what techniques and technologies they develop and use, and how they interpret their data. By examining how theory can help biologists answer questions like 'What are the engineering principles of life?' or 'How do cells really work? The report shows how theory synthesizes biological knowledge from the molecular level to the level of whole ecosystems. The book concludes that theory is already an inextricable thread running throughout the practice of biology; but that explicitly giving theory equal status with other components of biological research could help catalyze transformative research that will lead to creative, dynamic, and innovative advances in our understanding of life. No comments for "The Role of Theory in Advancing 21st-Century Biology: Catalyzing Transformative Research".